One of the most exciting times to visit Colorado is when its destinations are bustling with festival excitement. Colorado offers a variety of not-to-miss events throughout the year, some well known, such as the infamous Great American Beer Festival in Denver or Wintersköl in Aspen and some under the radar such as the Vintage Car Race in Snowmass or Wild West Air Fest in Steamboat Springs. Below is a sampling of some of Colorado’s renowned and under the radar festivals offered throughout the year. For more information, visit http://www.colorado.com. You might know about Wintersköl™ (January 11-14, 2018). Aspen’s annual four-day celebration features on and off mountain activities, festivals, fireworks, free and nearly free events for the entire family. Wintersköl, Aspen’s annual “toast to winter,” dates back to a quiet January in 1951 when local Aspenites decided to celebrate Aspen’s unique lifestyle with an eclectic weekend of festivities. But have you heard about the Mac N Cheese Festival (September 8, 2018)? 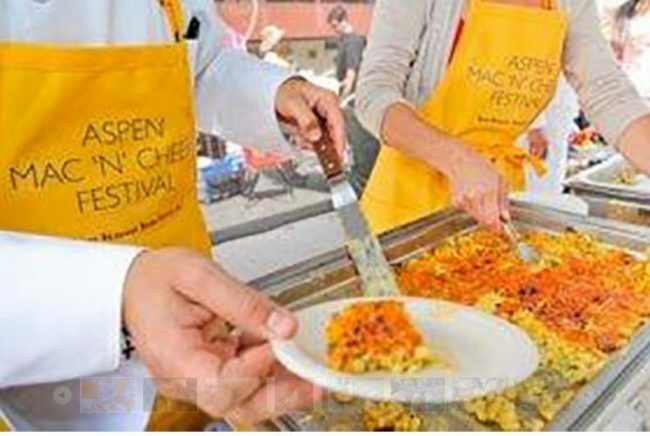 Taking place on Aspen’s “Restaurant Row” (East Hopkins Avenue between Monarch and Mill Street), the 8th annual Mac N Cheese festival will showcase a sample of the best Mac N Cheese creations in the Aspen area. Visitors pay $5 to participate and bring their own spoon to the event to keep it environmentally friendly. At the end, tasters vote for the favorites in five different categories. You might know about the International Snow Sculpture Championships (January 22-29, 2018). The 28th annual International Snow Sculpture Championships bring snow sculpture artists from around the world to create 12-foot-tall, 25-ton blocks of snow using only hand tools. The beautiful sculptures are sculpted over a five-day period and are lit up at night for visitors to see. But have you heard about Still on the Hill: Breckenridge Craft Spirits Festival (2018 October Dates TBD)? Craft spirit enthusiasts can experience a variety of incredible libations while being surrounded by the stunning Rocky Mountains in Breckenridge. This festival is a grand tasting of handcrafted spirits, craft cocktails, artisanal bites and more. Visitors to the festival can also take part in mixology workshops, historical walking tours, ghost tours and scavenger hunts. You might know about the Colorado Springs Labor Day Lift Off (September 1-3, 2018). Colorado’s largest balloon festival features 50+ pilots taking to the skies each Labor Day Weekend. This free, family friendly event showcases woodcarving and donut eating contests, live entertainment, skydiving demonstrations, balloon rides and much more. Visitors can head to Memorial Park for the early morning ascension over Prospect Lake or watch the night sky light up with each balloon glow. But have you heard about the Bighorn Sheep Festival (February 10, 2018)? Wildlife enthusiasts can look for bighorn sheep in their natural habitats through high-powered telescopes at the 12th annual Bighorn Sheep Festival. After viewing the wildlife, visitors can take part in guided nature walks, children’s activities and crafts, zoo activities, view bighorn presentations and more. You might know about the Great American Beer Festival (September 20-22, 2018). The Great American Beer Festival is the largest beer festival in the world; and each year, it represents the largest collection of U.S. beer ever served – in both a public tasting event plus a private competition. The festival takes place at the Colorado Convention Center and brings together brewers and diverse beers from across the nation. But have you heard about Collaboration Fest (March 31, 2018)? Known as America’s most creative beer festival, Collaboration Fest features brews that are a result of collaborations between two or more breweries from around the state, country and world. These individual collaborations mean that every beer tapped will be its first time, and every beer has a unique story. This year, the festival will be at the Hyatt Regency at the Colorado Convention Center. You might know about the Cowboy Poetry Gathering (October 4-7, 2018). 2018 marks the 30th anniversary of the Durango Cowboy Poetry Gathering, a celebration of the rich culture and heritage of the American cowboy. Nationally acclaimed cowboy poets, storytellers and musicians perform both traditional and contemporary poems and songs that tell authentic stories of life in the West. The weekend-long festivities also include a Cowboy Poet Train on the historic Durango & Silverton Narrow Gauge Railroad, a Cowboy Poet trail ride, Chuckwagon Breakfast, Cowboy Parade, a documentary film screening and shows of fine Western art. But have you heard about the San Juan Brewfest (August 25, 2018)? The 20th anniversary of the Four Corners’ biggest beer tasting festival will showcase 50 breweries, each highlighting at least two beers, meaning over 100 beers will be available for attendees to sample. Live music, brewery line up and tickets will be announced June 1st and ticket sales will benefit the United Way of Southwest Colorado. You might know about the High Plains Snow Goose Festival (February 8-11, 2018). The 16th Annual High Plains Snow Goose Festival takes place in several counties across Colorado’s eastern plains. In spring, waves of bright white snow geese against an endless blue sky fly into southeastern Colorado. The snow geese seen at the High Plains Snow Goose Festival are part of the Western Central Flyway population that is on their way back to the Canadian Arctic where they nest. In celebration of the migration, activities at the festival include guided birding tours, arts and crafts fair, birding workshops, a silent auction and more. But have you heard about the Annual Spring Farm Festival (May TBD, 2018)? Each May, the Colorado High Plains Adventure holds its annual Spring Farm Festival. Taking place at Caramel Apple Farm in Bennett, this event showcases businesses and animal rescues of the eastern plains. Attendees can visit with goats, donkeys, pigs, chickens and those cute alpacas. There will be food, music, goat milking demonstrations, alpaca fiber spinning and weaving, face painting and a performance from Oscar the Therapy Pig. You might know about the Colorado BBQ Challenge (June 14-16, 2018). Colorado’s longest-running barbeque competition, the Colorado BBQ Challenge, hosted by the Town of Frisco, takes place annually over Father’s Day weekend. The multi-day event, which extends more than six blocks on Frisco’s picturesque Main Street, features live music, pig races, kids’ activities, a firefighter cook-off, chef demos, a Breckenridge Distillery Whiskey tour, the Bacon Burner 6k and some of the best barbeque in the nation. But have you heard about Wassail Days (December 2018 Dates TBD)? The Town of Frisco’s iconic Wassail Days takes place annually in early December. The weeklong celebration of the winter and holiday season celebrates wassail, a traditional warm Old English apple cider. Over the years, Frisco’s Main Street businesses have worked to perfect their own iterations of this holiday staple, collectively serving more than 5,000 complimentary cups to guests each year. This year’s Wassail Days will showcase more than 60 local businesses, each sharing their own special wassail recipe over the 10-day festival. You might know about the Leadville Skijoring & Crystal Carnival Weekend (March 2-4, 2018). The 2018 Skijoring and Crystal Carnival Weekend hosts the unique sport of skijoring, plus mountain bike and Nordic ski races, a paintball biathlon, and more. Leadville skijoring is an action-packed sport where a horse and rider race down snow-packed Harrison Avenue in Leadville’s downtown, pulling a skier who’s holding onto a rope. As the horse gallops, the skier flies over jumps and spears rings set up along certain parts of the course. But have you heard about the Father Dyer Postal Route Ski Race (April 7, 2018)? North America’s highest backcountry ski race, The Father Dyer Postal Route Ski Race is a ski mountaineering team race held each April in the Mosquito Range east of Leadville. This challenging course takes racers up three peaks over 12,000′, including Centennial 13er Dyer Mountain (13,855’), and involves three demanding backcountry ski lines. The route is named for John Lewis Dyer, who crossed these mountains on skis as a minister and postal carrier serving the mining camps in Alma and Leadville. You might know about the 70th Annual FIBArk Festival (June 14-18, 2018). 2018 marks the 70th anniversary of FIBArk “First in Boating on the Arkansas”, the nation’s oldest whitewater festival and Salida’s signature event. Every year in June during the Arkansas River runoff in Salida, the festival focuses on whitewater boat races and paddlers from around the nation and world come to compete. The festival also includes land events such as live music performances, mountain bike races, parades and more. 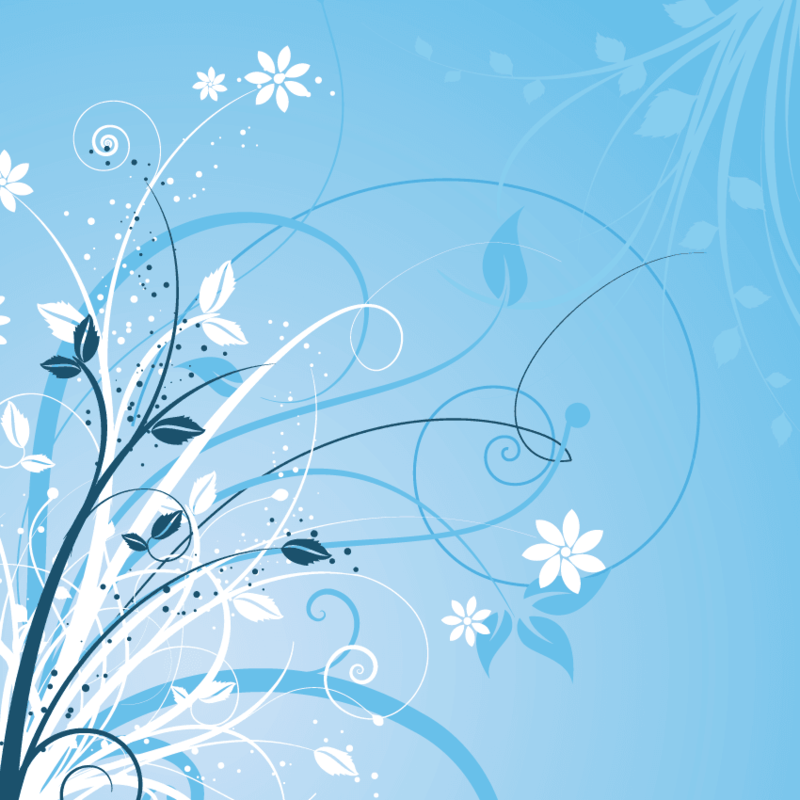 But have you heard about the 4th Annual Salida Fiber Fest (September 8-9 2018)? The 4th Annual Salida Fiber Festival will feature 70 fiber vendors – yarns, fibers, finished goods and more. The festival offers fiber related classes and vendors focused on all aspects of textiles and a tree-shaded beer garden offering local beer, wine and distilled drinks. Fiber Fest is held in Riverside Park, alongside the Arkansas River. You might know about the JAS Aspen Snowmass Labor Day Experience (August 31 – September 2, 2018). The JAS Aspen Snowmass Labor Day Experience is an open-air extravaganza of popular R&B, rock, funk, blues, world and soul music, taking place at Snowmass Town Park, with the spectacular Elk Mountain Range as a backdrop. The festival attracts a wide demographic of attendees with past performers ranging from Stevie Wonder to the Black Eyed Peas, Zac Brown Band to Jack Johnson, The Allman Brothers Band, No Doubt and Tom Petty, just to name a few. But have you heard about the Aspen Snowmass Vintage Car Race (September 16-17, 2018)? Watch the sights and sounds of high-octane racing come alive on the streets of Snowmass Village as vintage Corvettes, BMWs, Porsches, Mustangs and formula racecars from the 1960s and 1970s fly by. Not a typical car race, the Aspen Snowmass Vintage Car Race is sure to get the heart thumping and the blood pumping. You might know about Winter Carnival (February 7 – February 11, 2018). Celebrating its 105th year, Winter Carnival is an event not to be missed in Steamboat. The event will feature several street events such as the Nordic Dash, street slalom, donkey jumps and the infamous skijoring. A Night Extravaganza takes place on Howelsen Hill as it is lit up with colors and Winter Sports Club athletes jumping and flipping as they descend down the mountain. But have you heard about Wild West Air Fest (September 1, 2018)? Every Labor Day weekend, some of the best pilots in the west and nationally renowned performers provide excitement to visitors and locals of Steamboat with thrilling aerobatics and formation flying. In previous years, performances have included a WWII Navy Torpedo Bomber TBM-3 Avenger performing a bomber simulation, international aerobatics, Trojan T-28 Warbirds and more.